I used to have really great time management. Apparently it has gone away, or my kids have taken it I'm not sure which one is to blame. Regardless of the cause I can't seem to get things done as quickly or in the same amount of time that I used to. I make lots of plans and 10,000 things seem to sprout up to waylay them. I never used to be late for weddings or funerals. The last wedding my family went to we missed everything except the reception and the last funeral we made it in time to drive to the graveside burial. Granted my youngest was car sick both times and there was road construction that we were stuck in for an hour (we were literally 20 feet from the exit, we could have walked quicker). Still I hate being late, or not getting things done early and the older I get the more things seem to be getting done last minute. However, I have also learned that sometimes last minute strokes of genius aren't so bad. I once made a dragon tail for my son's music performance out of an old towel and some newspaper after I found out all the other mommies had sewed costumes for weeks. My son's tail ended up being a hit and he felt like a superstar. So maybe not all things that happen last minute are so bad. It's fall and that means one thing, pumpkin recipes. I love pumpkin, in drinks, breads, sweets, you name it. 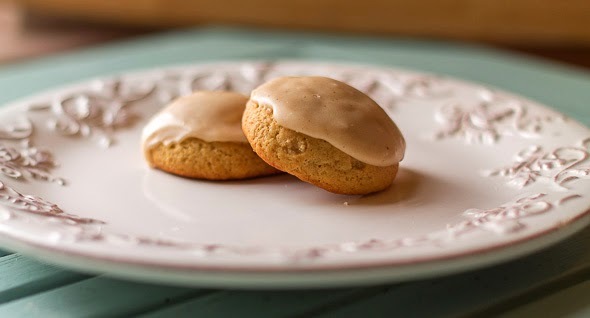 One of my favorite ways to incorporate pumpkin in is cookies. 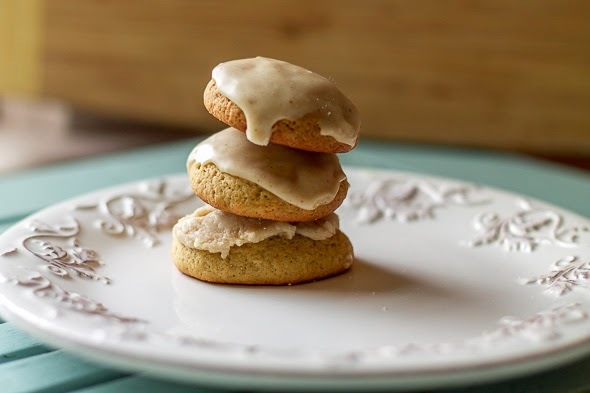 Pumpkin cookies are a great way to celebrate fall and the following recipe for pumpkin cookies has a beyond delicious recipe for a browned butter frosting. The frosting alone is worth making the recipe! Adapted from Betty Crocker Website. With a mixer combine sugars, 3/4 cup unsalted butter, and vanilla. Add in pumpkin and eggs. In another bowl combine flour, spices, baking soda, and salt. Add to ingredients in mixing bowl and beat on low speed for 1-2 minutes. Roll into one tablespoon balls and place on a parchment lined baking sheet. Bake for 10-12 minutes in a pre-heated 375 degree oven. In a saucepan melt 1/3 cup unsalted butter oven medium heat. Stirring constantly cook butter until it turns light brown. Take butter off stove and add to mixing bowl along with powdered sugar, vanilla, and milk. In mixer beat on low speed for 2 minutes until combined. 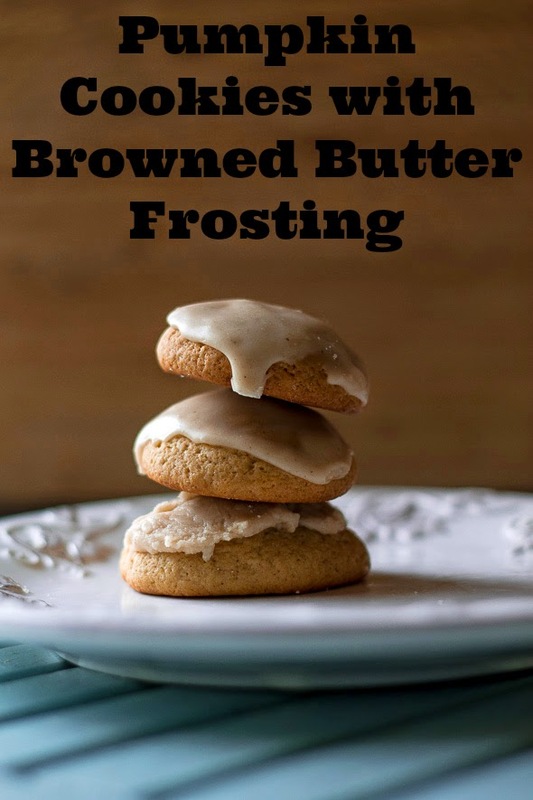 When cookies have cooled, frost with browned butter frosting. If you don't have ginger, cloves, and cinnamon, 1-1 1/2 teaspoons of pumpkin pie spice would also work well in this recipe. Make sure to constantly stir the butter while waiting for it to brown in order that it doesn't burn. Browned butter can go quickly from browned to burnt, so make sure to not leave it unattended. If you don't have parchment paper a greased or foil lined baking sheet would also do. I prefer parchment paper since it allows for even baking of cookies and other baked goods. It really does make a difference. I love this pumpkin cookies, look awesome! Thanks :) They are a nice way to incorporate fall flavors! Thanks for the sweet comment :) If you try them tell me how they turn out! These cookies look really great! I hare being late. HATE IT! That's fun about the dragon tail. And the cookies sound delicious! The cookies look so good. I love the icing recipe especially. Oh this time of the year I just love pumpkin everything. I actually had a pumpkin spice cookie last night at Starbucks and I'm sure it doesn't taste as good as yours. I am a big fan of pumpkin also :) I've already had a ton of pumpkin spice lattes this season! i think it's the kids. i NEVER used to be late. i was always the early one waiting for everyone else. now, i'm the same...late, last minute, unorganized...and i hate it. I think it's kids too :) Before kids I was always early!